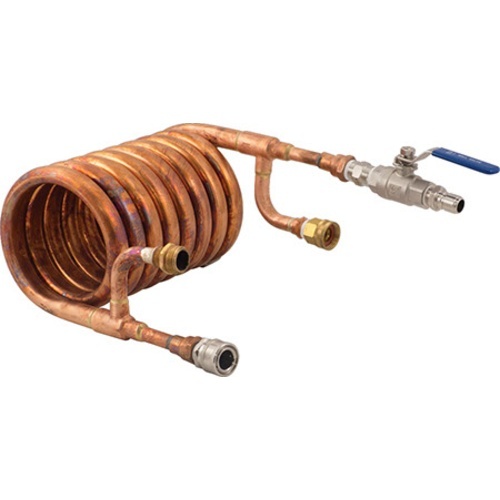 While our counterflow wort chiller from MoreBeer! is already one of our best selling items, we made it even more efficient and effective with our all-inclusive Counterflow Wort Chiller Assembly kit. This complete kit includes everything that you need to chill your wort to the perfect temperature before it enters the fermenter, plus all of the essential parts for assembling it and attaching it to your existing brew kit. 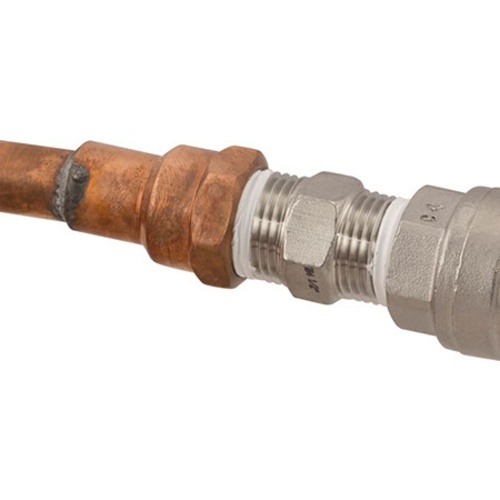 The Counterflow Wort Chiller Assembly features quick disconnects on both the wort in and out, as well as a ball valve on the wort out to enable you to control the flow rate while cooling. This ball valve is especially important because it allows the wort more contact time against the water, meaning colder wort once it reaches your fermenter. 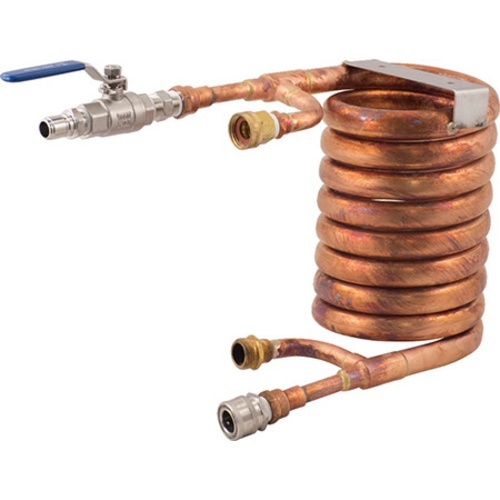 With high quality copper piping and stainless steel fittings, this wort chiller assembly is truly an investment piece that will last for years to come. Replacing Plate Chiller w/ CounterFlow Chiller. Has anyone attached this to the Blichmann TopTier and if so how?